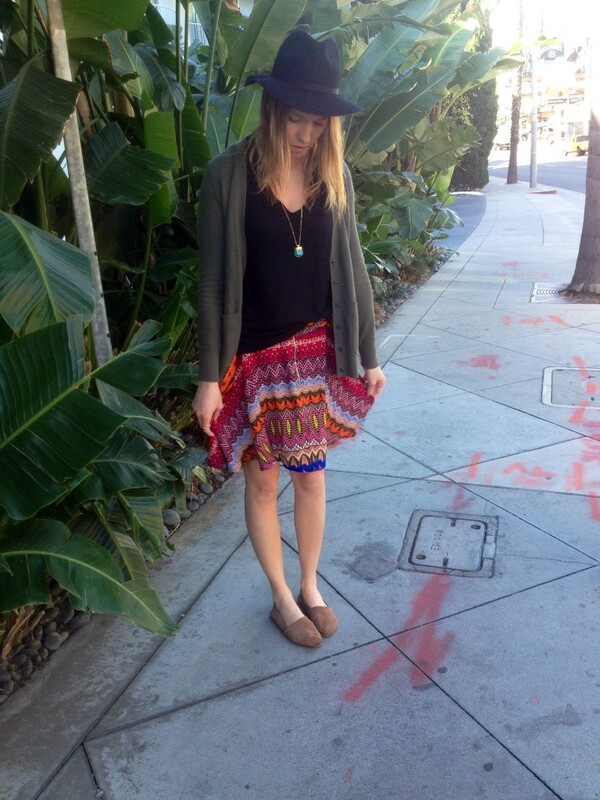 Sweater: Madewell; Skirt: Nordstrom Rack; Hat: TopShop (From Nordstrom); Shoes: Adam Tucker; Necklace: Kitson. Obsessed with the felt hat trend for spring. 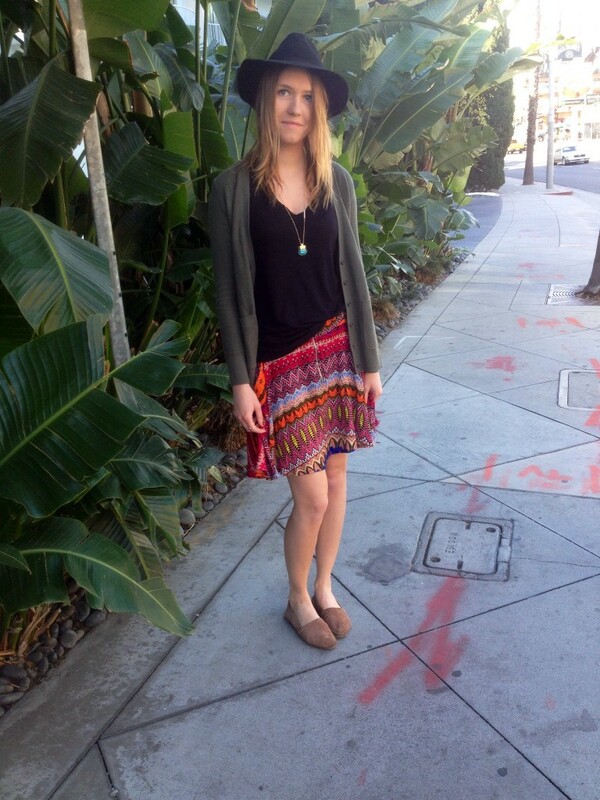 They are so easy to style and make any outfit look instantly boho chic! I love your skirt and hat. 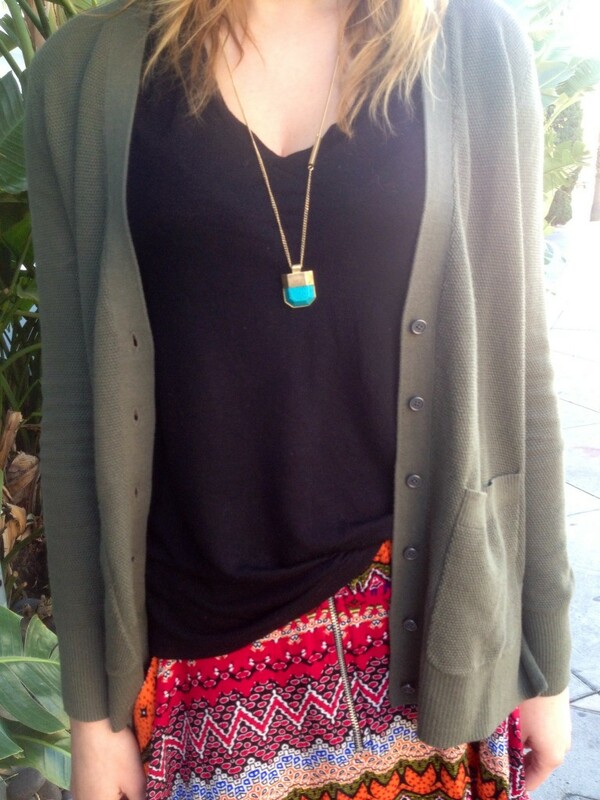 Amazing outfit, love the complete look, the skirt is awesome! I love this look! 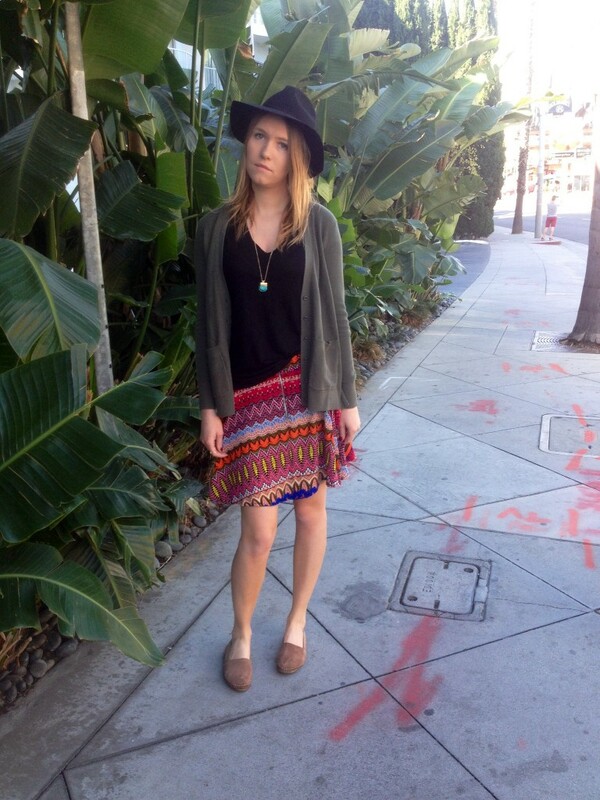 Such a cute skirt and hat, and you styled them so well… beautiful!